Bring back the glory of the samurai days with the Tokyo Five Japanese Spirit Hoodie. 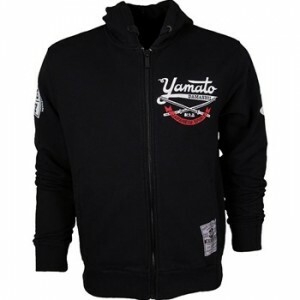 The Tokyo Five Japanese Spirit Hoodie comes in black and is made of 100% cotton for good comfort. There’s a logo at the upper left with “Yamato Damashii” and “Japanese Spirit” printed. The Japanese Spirit Hoodie comes in all sizes from S to XL, and it looks awesome as well. The Tokyo Five Japanese Spirit Hoodie is available at MMAWarehouse for $69.99.